If you want to boost your business online then blogging will play a vital role in growing your online business. Blogs will help you in increasing your online presence and also generate more organic traffic. For offline presence, you can buy space in the location where your blog audience is targeted. For example a UK street address is best if your business is targeting the UK. That way, your blog will start to rank for local searches easily. Blogging definitely increases brand value of your website. There are several online marketing tools and strategies available to generate more traffic such as paid advertising and social media marketing. But blogging itself is an iceberg; it is bigger and deeper than expected. Correct tools take you to the perfection of your job and professional blogger also have many blogging tools in their pouch. In blogging these tools may be used to find right keywords or to analyze traffic data. Some blogging tools are available for managing social media accounts and many for other blogging activities. Successful blogging needs creation, organization, publication and promotion of content, and all these elements will take much more time. Luckily, we have some excellent blogging tools that make blogging easier. Wanna worthy list of top blogging tools to be a successful in this Blogosphere? Here I have compiled a worthy list of Top 10 Blogging Tools for 2017. If you just entered the world of blogging and want to create your dream website then this top 10 list is going to be very useful for you. Starting a blogging journey with WordPress will be proved valuable later. WordPress is used by more than 75.6M bloggers worldwide. WordPress is the leader when it comes to the Content Management System available online. WordPress helps you in building a place for your content and services to live. If you are thinking to enter this digital world, add WordPress to your backpack. WordPress is a tested and true tool for blogging, so prefer WordPress before setting up your site. Here I have compiled few pros of this blogging tool. Comes with Easy Interface – For a newbie WordPress may be little overwhelming or confusing, but it is developed to provide easy interface even to the beginners. WordPress is designed with “ease of use” concept that makes it enough easy to start with your blogs for the first time. Abundance of Resources – WordPress itself comes with tons of themes, plugins, tools and resources. No matter what kind of blog you want to launch, WordPress will provide lot of varieties of themes and resources for your blog. Straightforward Content Editor – The simple and clean content editor will make your editing fun. Simple editing feature will help you in making your content editing near to the perfection. Vast Community of Users – More than 75.6 million active bloggers using WordPress, which means this tool, is tested by millions. Always try the tested and I think you will have no regrets for using this tool in future. Supportive – You will not get stuck even the first time because of its active support forum. You will get a fully supportive and helpful community where you will get solution of your questions. 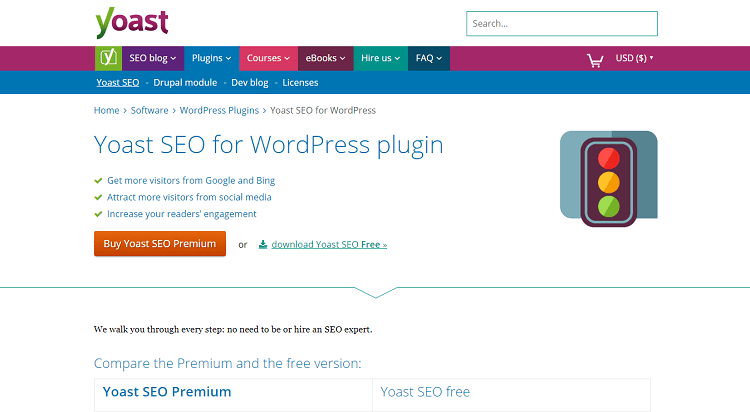 Yoast SEO is a WordPress plugin that help you in getting more traffic to your blog. If you are new to blogging and do not have much audience, then this WordPress plugin will be proved valuable to you later. Your dreams of high ranking on search engines will come true after using Yoast SEO. Your rank on search engines defines your blog’s traffic, thus high ranking is a crucial element for your blog posts. Optimizing your content will be a difficult task if you are new to Search Engine Optimization (SEO). This WordPress plugin will help you in generating more traffic to your blog posts. Yoast SEO plugin helps you in picking a right keyword and accurate destination of that keyword throughout your content. The relevant keyword and its accurate positions will matter a lot. Yoast SEO plugin helps you in putting your primary keyword in Meta Titles, URL, Title, image tags to boost your traffic and increase your search engine ranking. Ahref measures the quality and quantity of the link to your URL. The link quality and quantity is related with better ranking in search engines. Ahref is considered as one of the best backlink checker tool available online. More than a simple backlink checker, Ahref also helps bloggers in tracking best keywords to boost their SEO. Its dashboard comes with the two basic features of that are content alerts and keyword ranking. The content alerts are valuable for planning outreach and competitive analysis. 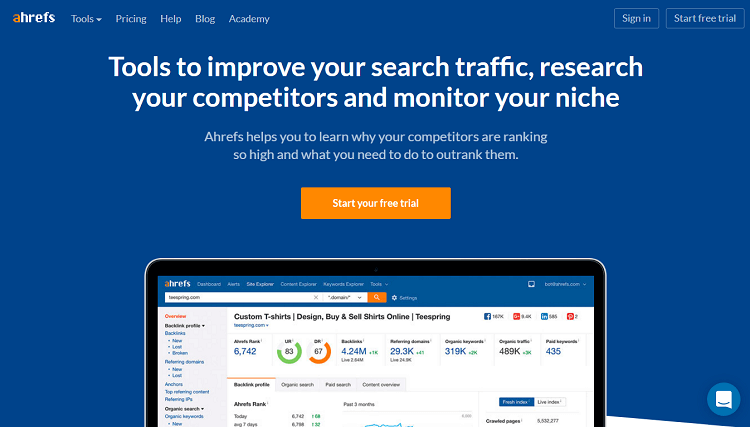 Ahref helps you in stealing SEO traffic from your competitors. Adding few infographics, charts, images to your blog post makes your blog more appealing. A blog post consisting only lined texts is enough embarrassing to turn your visitors off. Images in your blog post help you in breaking your content that makes it digestible. Adding images to your blog doesn’t mean to add low value stock images. If image is not relevant to your blog or content then it is waste of time. 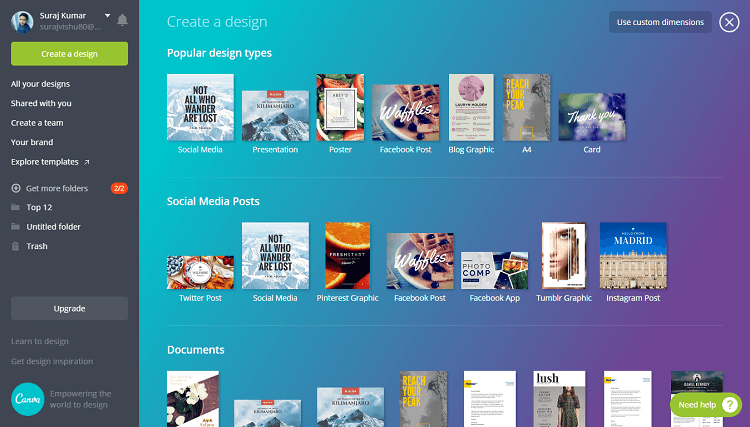 Whether you want to add infographics, visuals or featured images in your blog post, you can do it all with this free tool. Yes, it’s free! The best part of this blogging tool is that it comes with templates loaded. These templates can be sized perfectly, suitable for specific social media websites. You can easily create a graphic for your Pinterest account or Twitter with the available templates. Your content must be error free and Grammerly makes it easier to happen. Grammerly is developed to fix more than 400 types of errors instantly. It fixes more errors compared to Microsoft Word. You will get several synonym suggestions instantly for your words. Grammerly helps you in finding your writing errors and learning your mistakes that can be easily avoided next time. Grammerly enhances your writing skills no matter whether you are writing contents, essays, emails or social media posts. 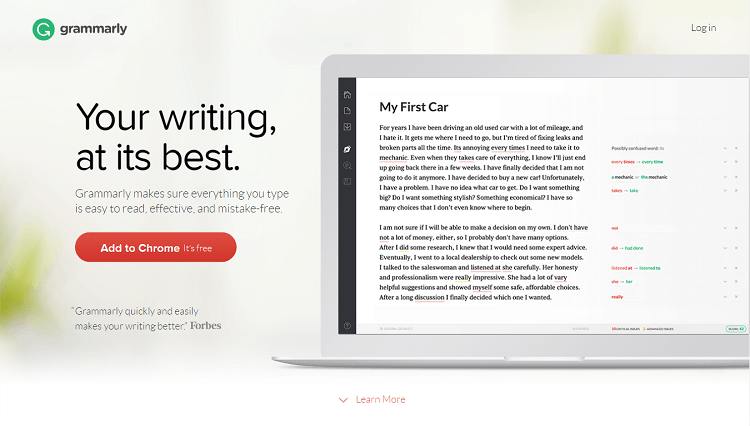 Grammerly blogging tool is enough for eliminating most of your writing mistakes. The grammar checking algorithms of Grammerly are developed with the world’s best linguistic technology. Your content matters a lot and Grammerly easily eliminates errors from your content. Google Analytics helps you in improving your business through your websites and apps. This amazing blogging tool also helps you in finding more users and boosting your sales. The data management and collection of your business becomes easier with Google Analytics. The data collection of your business’s growth helps you in making action plans further. Google Analytics enable you to take your marketing decisions more wisely. The whole growth report provided by Google Analytics helps you in improving your marketing campaigns. Google Analytics also helps you in targeting your marketing errors and allows you to experiment with new content and channels. 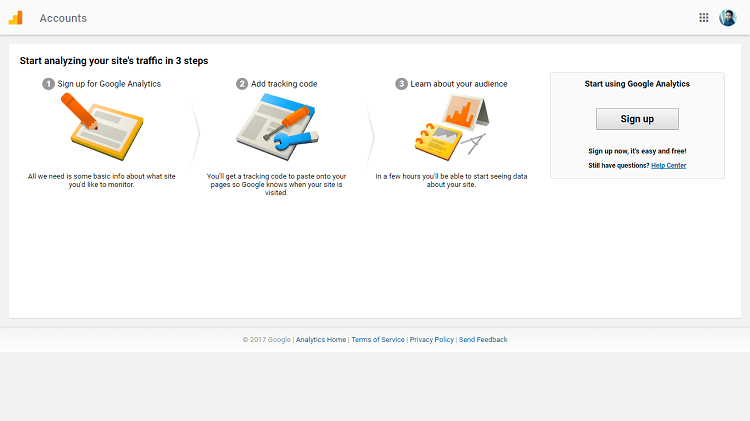 Google Analytics blogging tool helps you to analyze your visitor’s acquisition and behavior. Watch the results of all your efforts instantly with Google Analytics. Make new action plans targeting your audience to achieve best results from your blog posts. Creating a noticeable content all the time may be difficult for anyone. But if you add BuzzSumo tool in the list of your blogging tools then you will get suggestions of contents that will go viral instantly. BuzzSumo helps you in finding such content that are most popular in your industry. 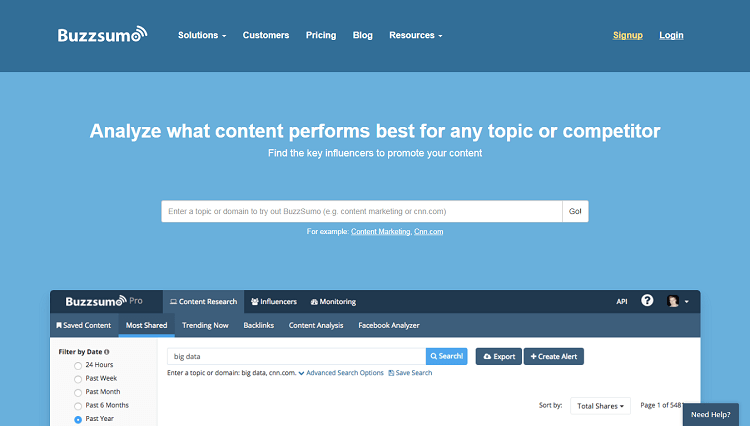 Finding a performing content will be very easy for you with BuzzSumo. This amazing tool can also be used in finding the right people who can promote your content heavily on social media sites. BuzzSumo blogging tool helps bloggers in building quality backlinks. Want to create content that goes viral instantly then use BuzzSumo blogging tool. Email campaigns are best way to boost your marketing health, thus you will need a blogging tool for your email campaigns. 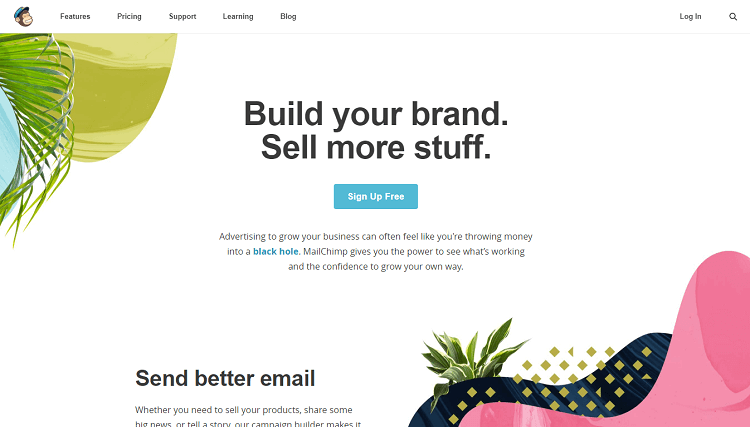 Here MailChimp comes into action providing all necessary features needed for your email campaigns. Email campaigns help in building a healthy relationship with your audience. MailChimp blogging tool provide reports that shows the engagement level with your audience and also provides accurate revenue stats of all your efforts. MailChimp provides customized tips that will be valuable in making your action plans further. MailChimp is completely compatible with mobile devices and you can check in to your account from anywhere. MailChimp blogging tool delivers its users all the marketing tips and tools that are necessary for successful blogging. 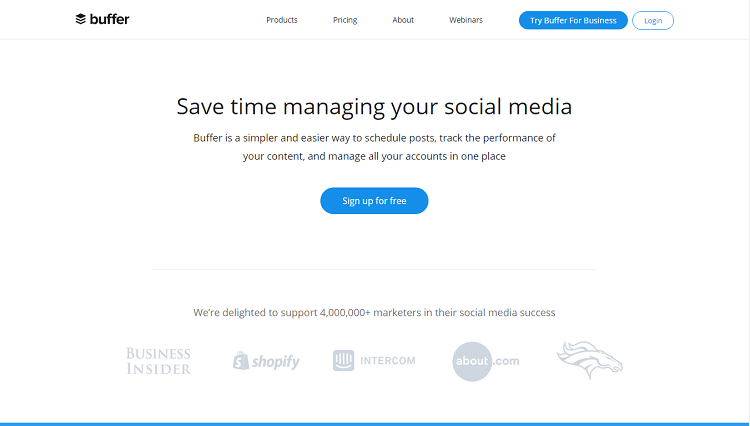 Buffer is a blogging tool used for scheduling your social media posts to be shared automatically. You can schedule your each social media posts and your contents will be shared automatically according your schedule. Buffer blogging tool helps its users in maintaining a consistent appearance on social media platforms. The consistency on social media platforms helps you in building your influence and following online through social media. You can also track the performance and growth of your shared content. Buffer provides streamlined analytics, thus it becomes easy to track performance of your shared content. You can easily track those kinds of contents that are performing well online. Buffer is developed to provide brief information about your social shares. So, you can easily track the key metrics like clicks, reach, share, likes, retweets, comments, mentions and many more instantly. SEMrush blogging tool is one of the best tools available for improving overall SEO. I have compiled a worthy list of the features of SEMrush. You can analyze your competitor’s keywords which are performing well. This blogging tool can analyze your backlinks easily. You can easily find out traffic of your or any site. SEMrush blogging tool is developed to perform site audits. 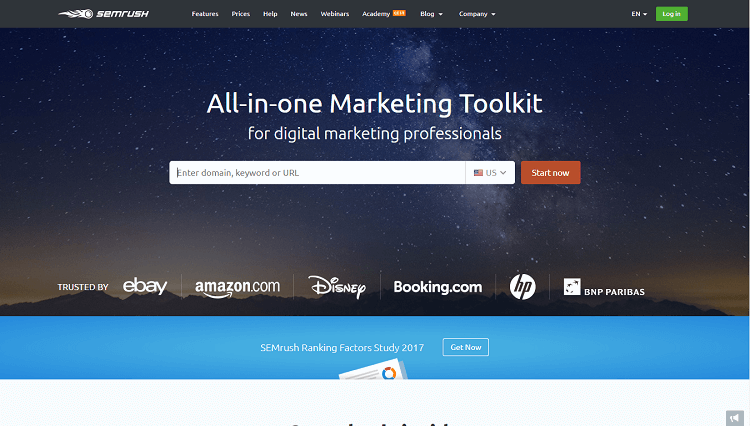 Domain to domain comparison can be done easily with SEMrush blogging tool. SEMrush is proved an excellent blogging tool for the bloggers who want to increase their site traffic, increase sales or build backlinks. Adding this tool in the pouch of your best blogging tools will be proved worthy later. The world of blogging is growing bigger these days. Blogging itself has influenced the digital market with continuous growth. Blogging consist of multiple elements and these blogging tools are also the part of blogging. For successful blogging you will need several blogging tools, but choosing a best package of tools may be very difficult for you. Here this post will guide you in picking correct blogging tools necessary for your blogging career. 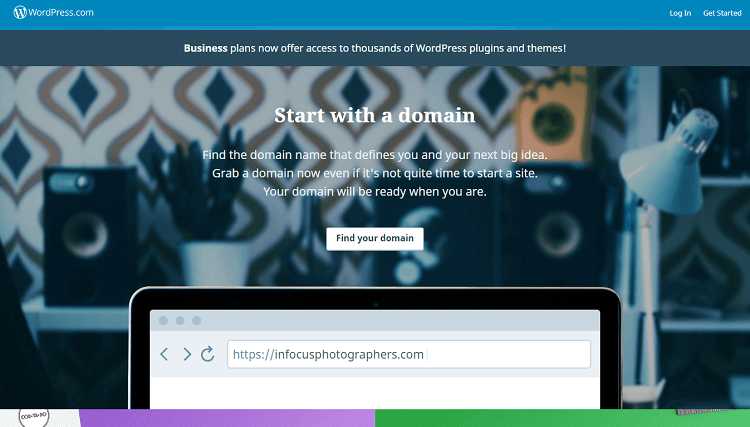 Some of the blogging tools are superbly amazing and also you don’t have to spend a buck for them. Some of the blogging tools are premium but your investment on those tools will give you the unexpected returns.